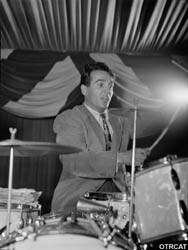 "Glen Gray Casa Loma Orchestra"
With such greats as Count Basie, Lionel Hampton, Gene Krupa, Stan Kenton and Woody Herman, One Night Stand was a popular musical program that lasted for over two decades on the radio. Many early shows were broadcast on the Armed Forces radio for troops during WWII. Featuring wonderful standards done by the greats, this show matches the enjoyable beats of GI Jive. For those who were stuck in the barracks, AFRS’s One Night Stand was the best substitute on hand. Spending some time listening to the great big band, Swing and Jazz music that was recorded live at the hottest clubs across America could not help but bring to mind images of a night out with your best girl back home. Whether such happy memories were any more productive than going out to find a potential war-bride is up for debate, but morale was raised with a lot less risk to the servicemen. One Night Stand got its start as a commercial broadcast over NBC, sponsored by Dill’s Best and Model Pipe Tobacco. The idea behind the title was that the show would be announced from a different city each week. In reality, the early programs were a radio minstrel show which originated from New York City. During the War years and beyond, the decommercialized content was provided to the Armed Forces Radio Service free of charge. Remote broadcasts came from NBC, CBS, Mutual and ABC facilities. 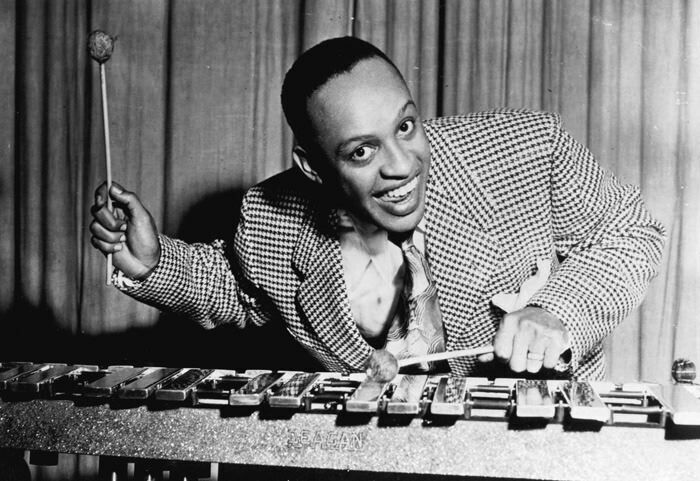 Featured acts included Stan Kenton and his Orchestra, Jimmy and Tommy Dorsey, Count Basie, Charlie Barnet, Xavier Cugat, Les Brown and His Band of Renown, Benny Goodman and many, many others. The venues included the Jantzen Ballroom in Portland, the Hollywood Palladium, LA’s Biltmore Hotel, the Hotel Sherman of Chicago, the Hotel Lincoln, the Hotel New Yorker and the Hotel Pennsylvania in New York, and several others. The program continued to delight servicemen through the Vietnam era, although most of the surviving recordings are from WWII and the Korean War period. 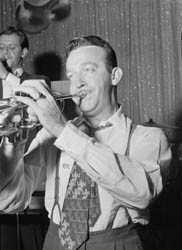 AFRS’s musical series with the best names in the music business like Stan Kenton and his Orchestra, Jimmy and Tommy Dorsey, Count Basie, Les Brown and His Band of Renown, Benny Goodman and many, many others. For more musical enjoyments, send your ear over to the Music Rarities Collection. Be the first to comment on "One Night Stand"
ONS 440200 0145 Boyd Raeburn From Roosevelt Hotel Wdc.